I’ve compiled a list of some great choices for any potluck you’re heading to. I’ve categorized them so they are a little easier to navigate! Happy potluckin’! Charcuterie Boards | Y’all know I couldn’t talk about a big gathering without mentioning my favorite appetizer of all time. A good ole charcuterie (pronounced SHAR-COO-TER-EE) board can be personalized to match whatever group you’re entertaining, PLUS it’s super simple to throw together. Dips make for great potluck food because they’re easy to transport and can usually be made in advance. 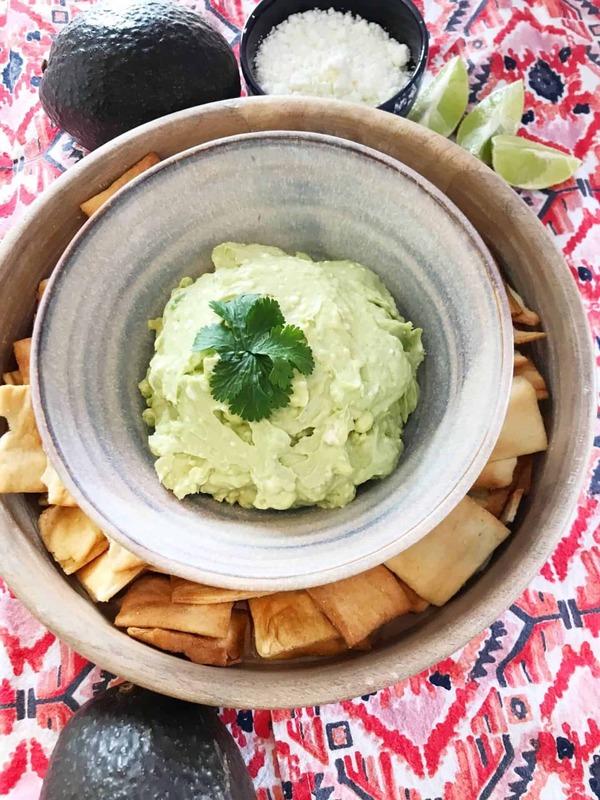 Avocado + Goat Cheese Dip | This recipe is super fast to make, can be made ahead of time, and is perfect with pita chips or veggies. Pairs great with all kinds of themed potlucks, too (Mexican, Italian, American, etc.). 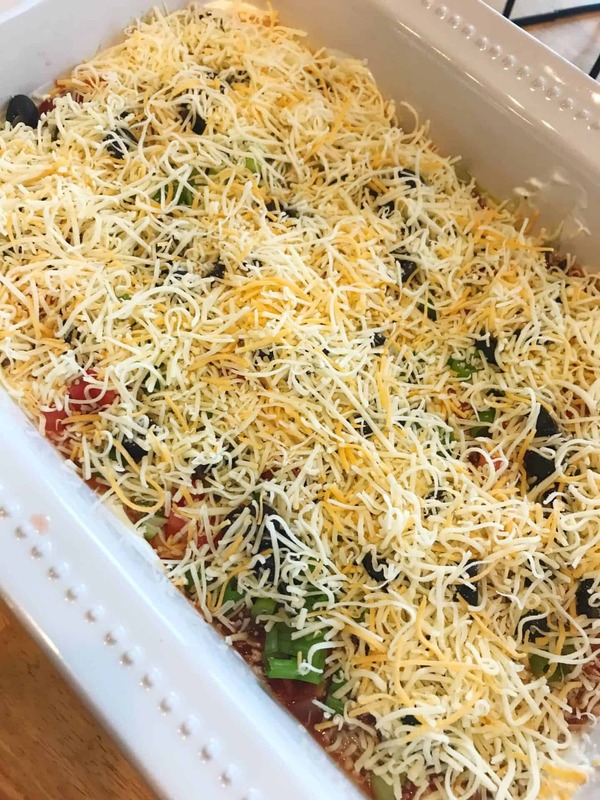 Seven Layer Dip | Another potluck favorite of mine! You can make it ahead of time, store it covered in the fridge, and grab it on your way out the door. 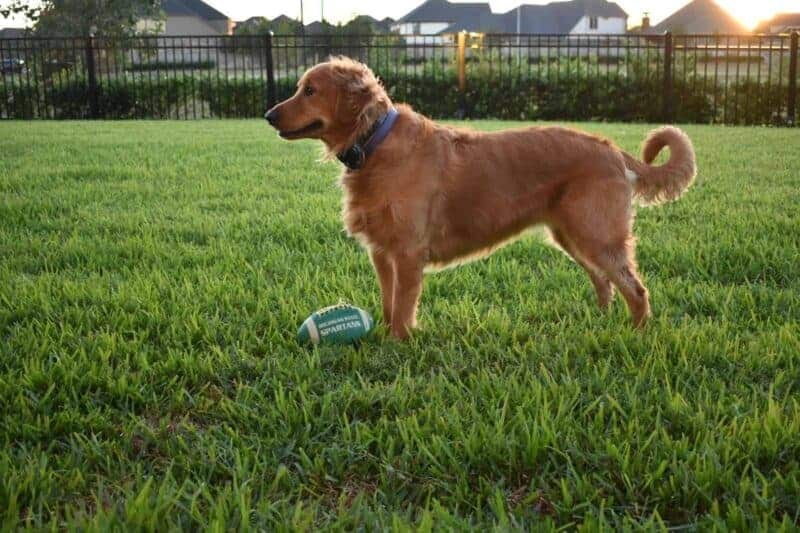 We love ours with tortilla chips or carrot chips when we’re feeling healthy. 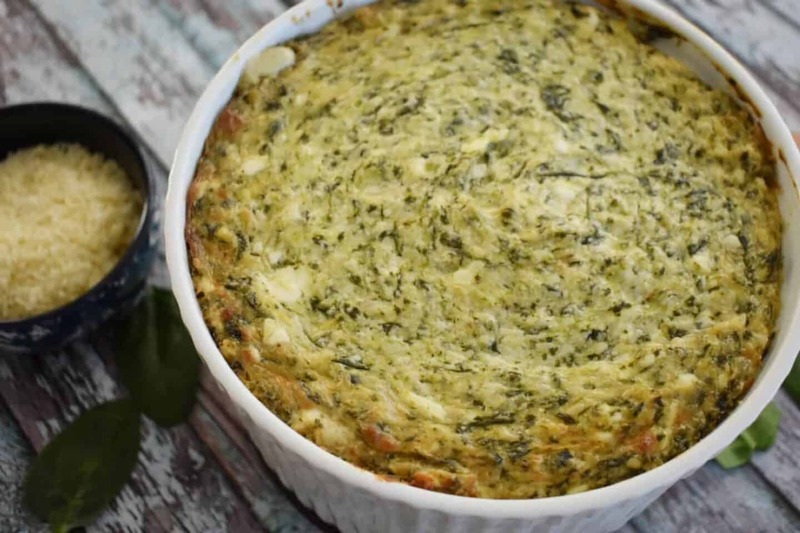 Spinach + Artichoke Dip | Another make-ahead-wonder that I’m in love with! If you’re wanting to WOW the other potluckers, make this bad boy for ’em. I promise you they will not be disappointed! Whipped Feta + Marinated Cucumbers | The make-ahead-wonders continue. This is such a refreshing, light appetizer that’s easy to whip (get it) together and please your fellow pot-luckers. 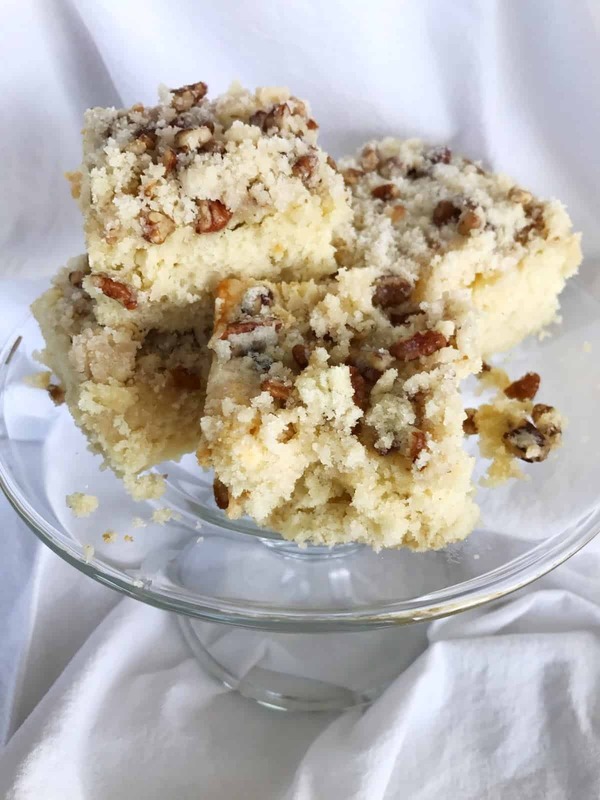 Streusel Coffee Cake | You can make this little pan of yummy the day/night before your potluck or make it bright and early that morning. 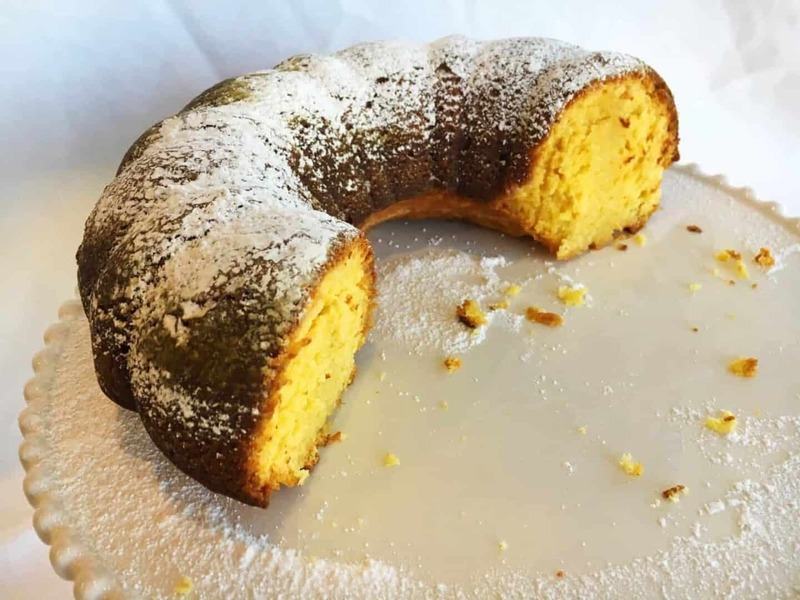 The crumbly topping and almond extract send this coffee cake over the edge of delicious! Cheesy Tuna Noodle Casserole | I mean the name says it all. I good ole casserole with some cheese and noodles is always a good idea in my book. You could assemble the casserole ahead of time, store in the fridge, then bake before heading to your potluck! 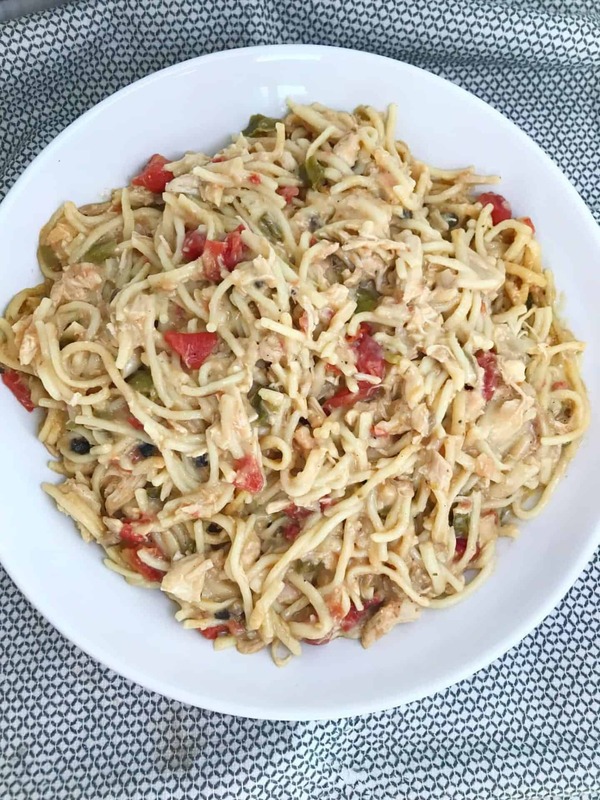 Chicken Spaghetti | This is probably the most common potluck dish I’ve seen at all the little gatherings I’ve been to. It’s savory, simple, and super satisfying! There are instructions on the linked page for how to freeze/refrigerate it beforehand, too. 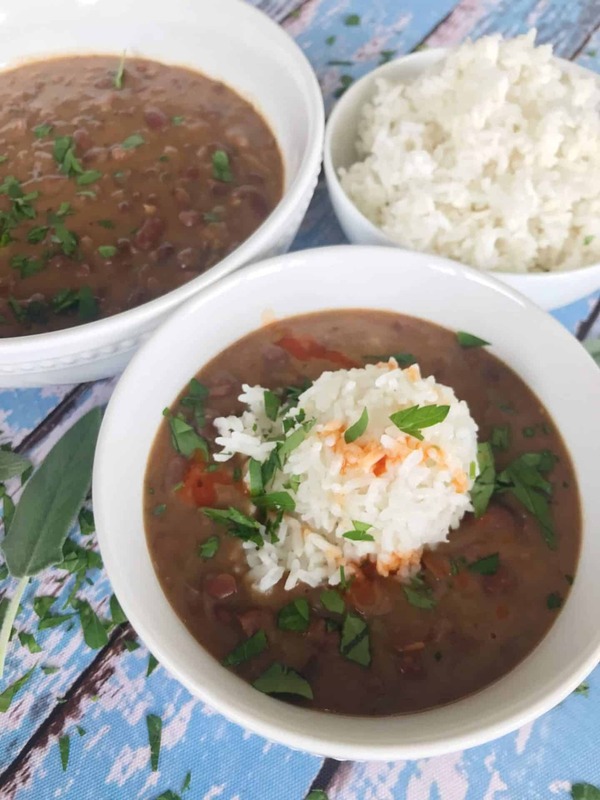 Red Beans and Rice | Our family favorite! It’s perfect to make ahead (even freeze), then make some rice to go alongside, heat it up, and you’re good to go to your potluck. You can control the spice level for those folks who aren’t big on heat, too. 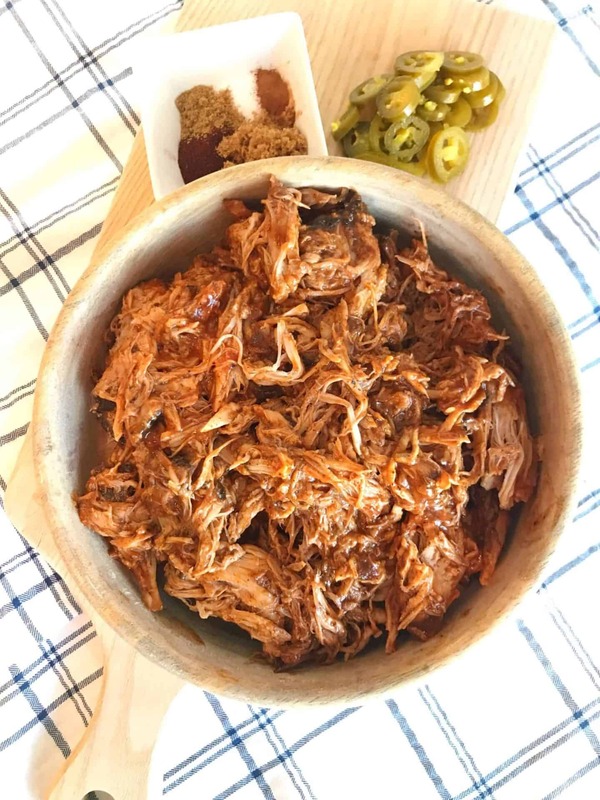 Slow Cooker Pulled Pork | This is a perfect main dish for a potluck because it’s a crock pot wonder! Love me a good crock pot dish for potlucks. They’re easy to make, keep warm, and you’re not rushing to assemble something before heading out the door. I’ve made up to 5 of these (in different slow cookers) at one time. Super easy and always good for a crowd! 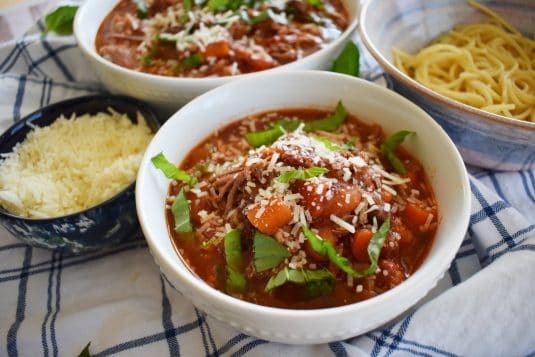 Slow Cooker Sunday Sauce | Another crock pot masterpiece! This is the ultimate Italian Sunday comfort food. Just make a little pasta to go alongside it before heading out the door, and you’re good to go. This recipe makes A TON, too, so it’s great for big gatherings. 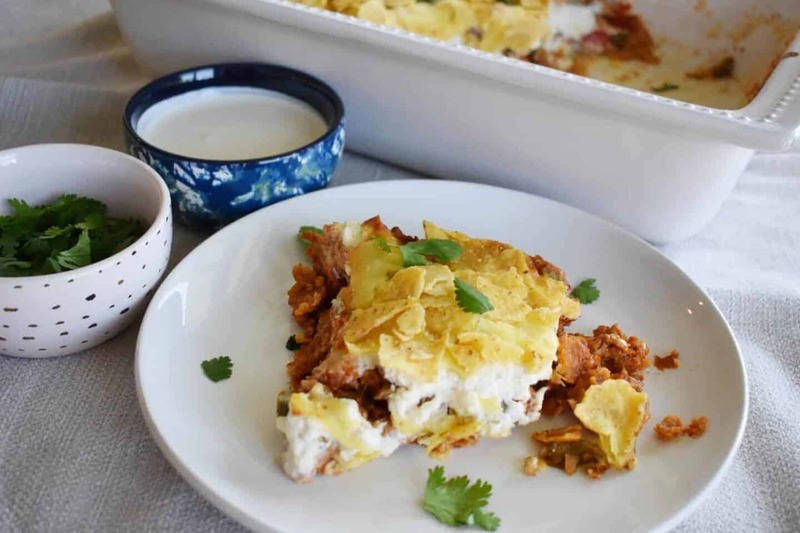 Taco Casserole | potluck magic can happen with this easy little Mexican casserole. Serve it with some cilantro and green onion and you’re in for a special little dish. 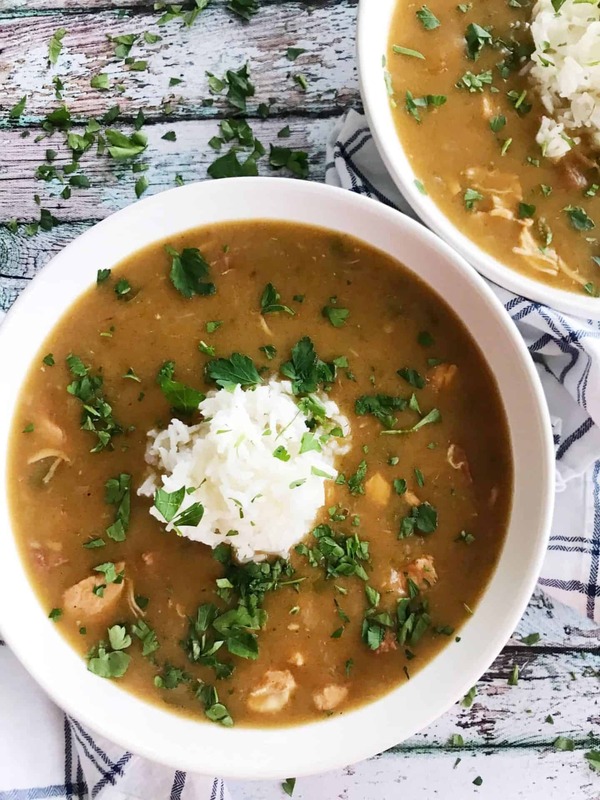 Chicken and Sausage Gumbo | This recipe makes a huge batch of good ole gumbo for a crowd. You can make it ahead, throw it in a slow cooker, and keep it warm until it’s time to eat! Make a little rice, garnish with green onion or parsley, and you’re a potluck Star. 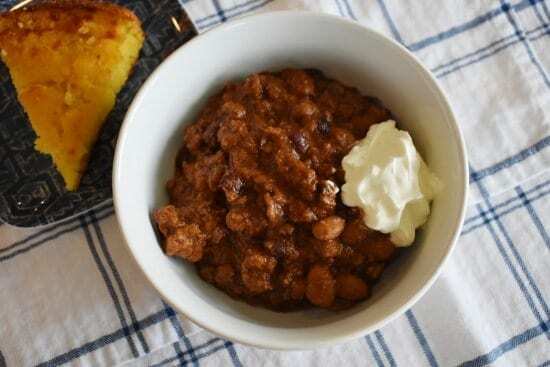 Chili | We call this Halloween Chili in our house, but we make it all fall and winter long. It freezes like a stinkin’ gem, too, so feel free to make a ton and then reheat for your potluck! I make ours in our multicooker that allows you to brown the meat IN THE SLOW COOKER so you don’t have to dirty another dish. I’ve also started it on the stove, transferred to the slow cooker, and let it cook on low as long as I need it to. 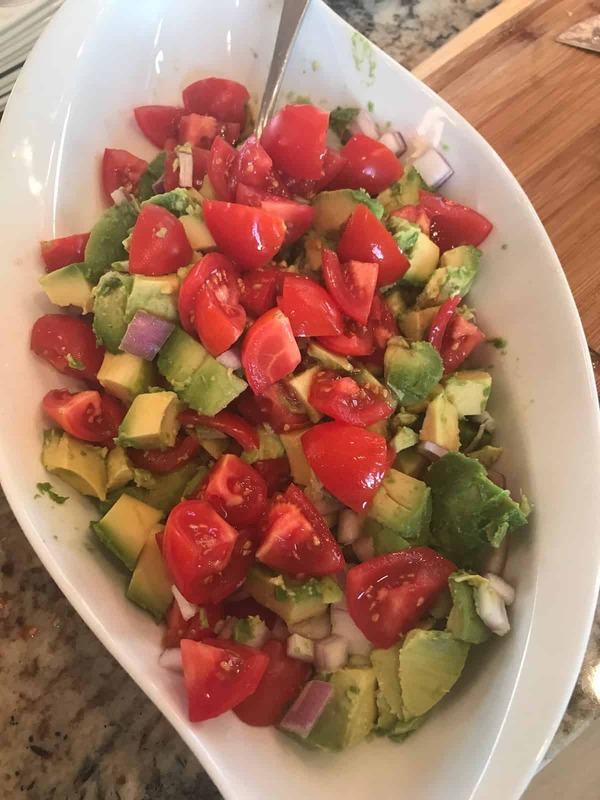 Avocado and Tomato Salad | This fresh, simple salad is great for a summer potluck or bbq! 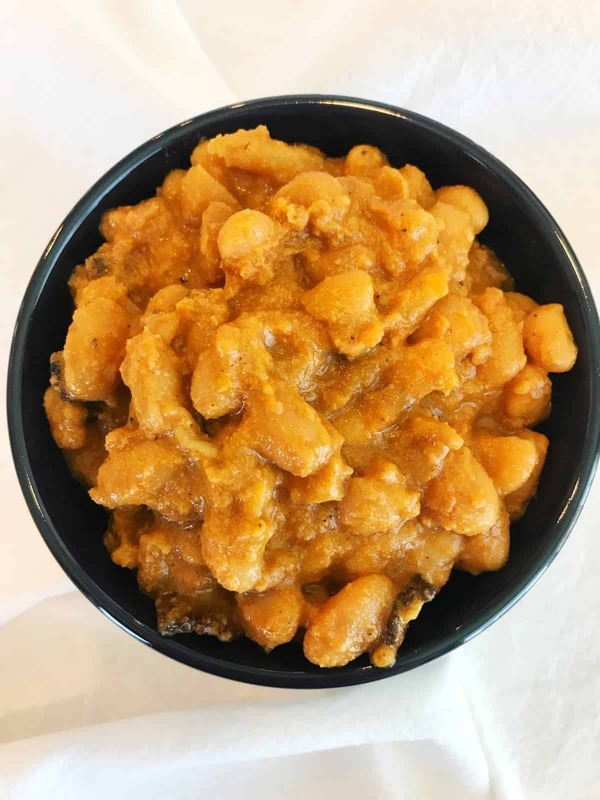 Baked Beans | Another great side for a burger or BBQ potluck! These are a serious crow pleaser that can be made on the stove or in a slow cooker. 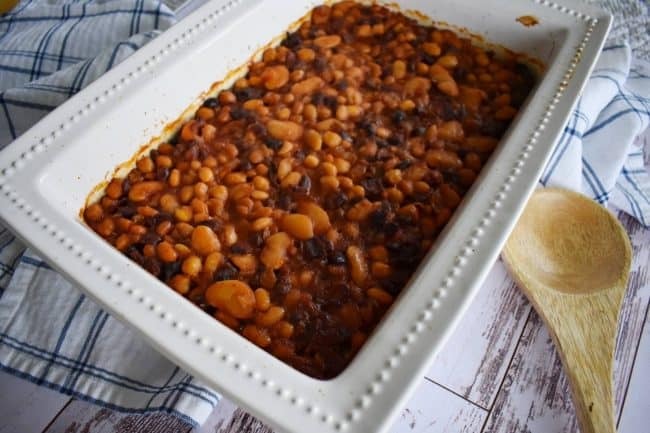 Five Bean Bake | I can’t tell you how many times I’ve made this side, and it’s a hit every time! It’s full of great southern flavors (including bacon… hello delicious)! Corrales Casserole | This is a Pitcher Family recipe that’s got New Mexico written all over it. 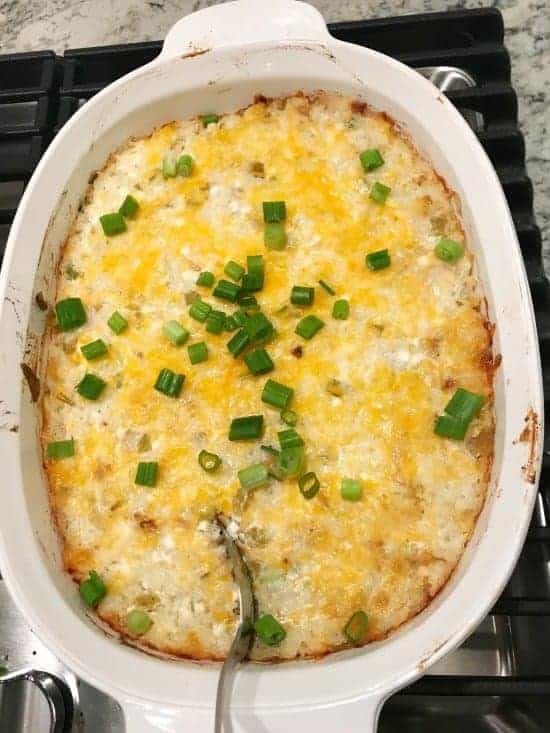 Mild green chiles give this cheesy rice dish a nice little zip! We pair it with steak, ham, grilled goodies, and tons of other mains. 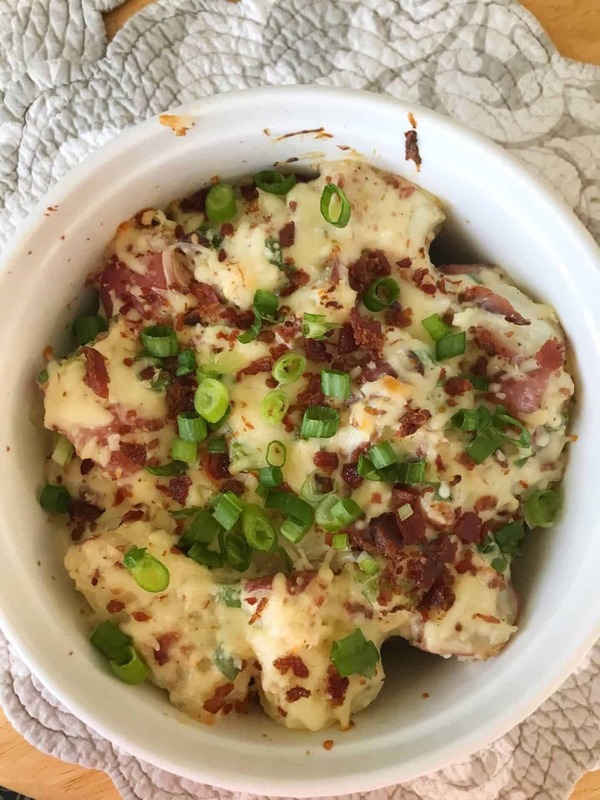 Loaded Baked Potato Casserole | If that name doesn’t immediately make your mouth water, then I’ve got nothing for you. I could eat baked potatoes for every meal for the rest of the year and be a happy lady. You can assemble, refrigerate (it needs to refrigerate for at least an hour anyway to settle), then bake right before heading out the door. 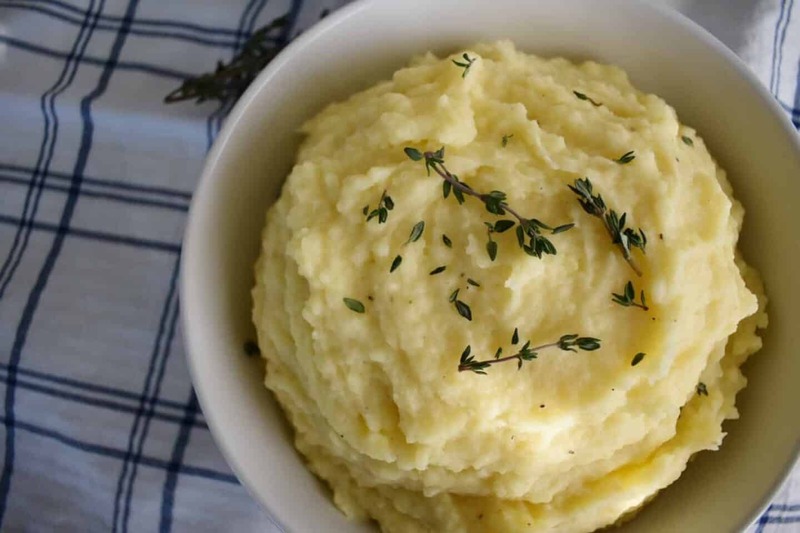 Mashed Potatoes | Speaking of taters… this is the ultimate recipe. I mean the King of the Potato Kings. We’ve made it the past few Thanksgivings, and it’s become my go-to way of making mashed potatoes. You can them ahead, refrigerate, then warm with some milk or half-and-half to get the right texture. 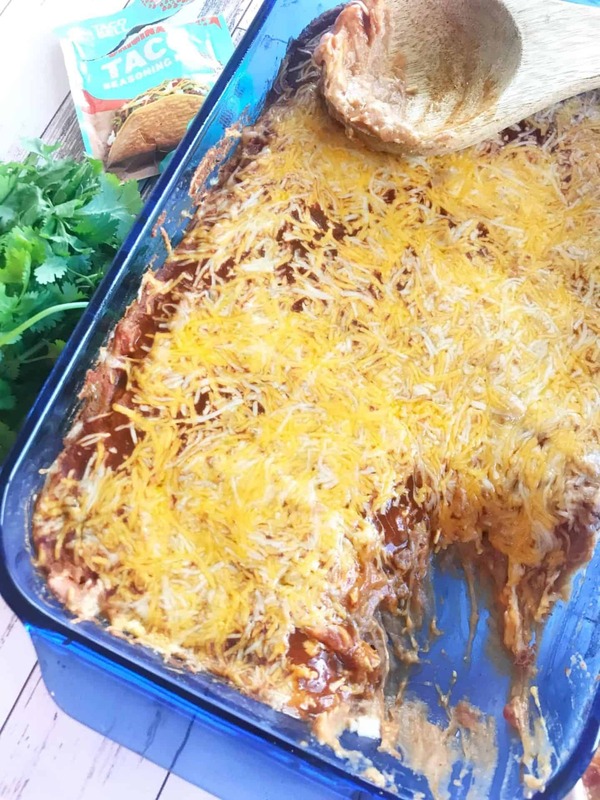 Taco Bell Beans | Apparently I like beans for a potluck (sorry, not sorry). These are a great addition to a Tex-Mex Themed potluck. You can’t go wrong with some good ole Taco Bell flavors, ‘m I right? 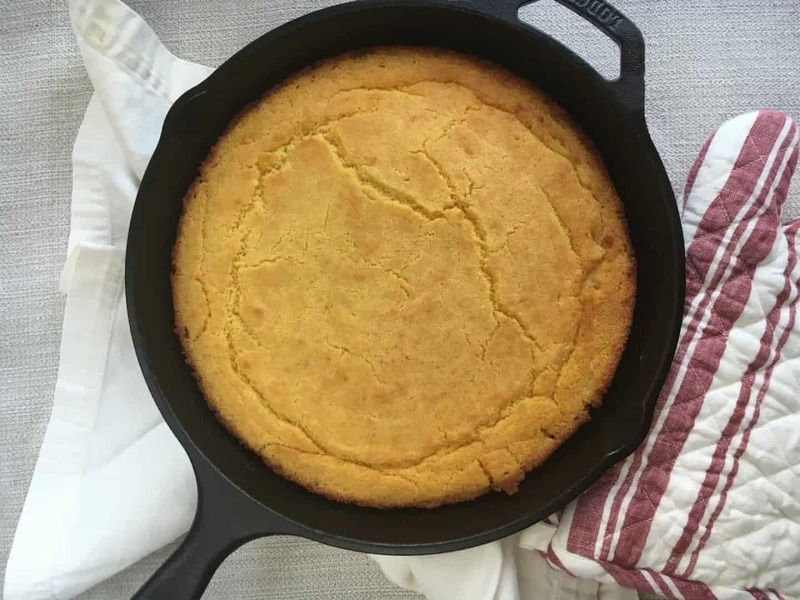 Cornbread | I love loading this cornbread up with some cheese and bringing it along to whatever potluck we’re going to. It’s great with chili, BBQ, and you can even add some jalapeños and bring it to a Tex-Mex get together. 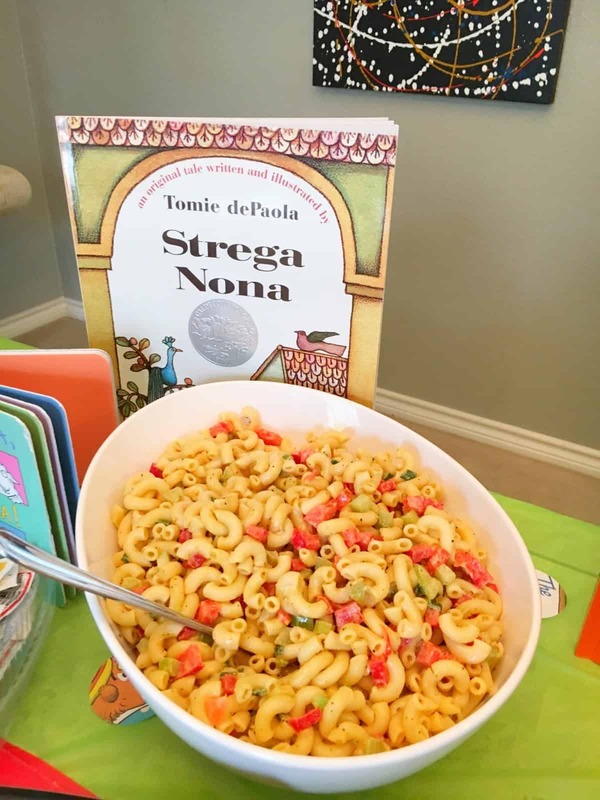 Simple Pasta Salad | This is a serious go-to for me whenever we’re brining something somewhere or hosting a big group at home. I’ve made it for lots of bridal and baby showers, too! It’s best made a day ahead so the flavors can kind of meld together. Just grab it outta the fridge and head to your potluck! Irish Whiskey Cake | It’s boozy, sweet, and so simple. You can serve it immediately or cover it up and serve it within 3 days. Yum! 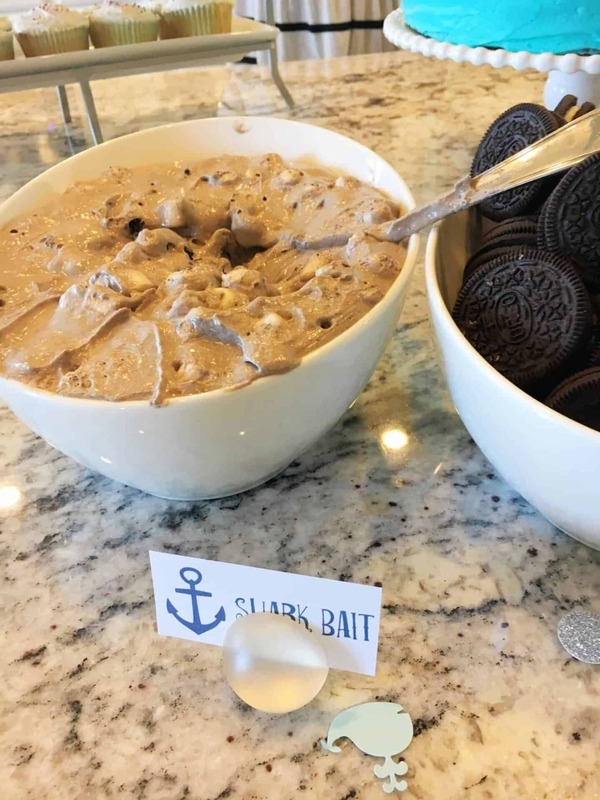 Oreo Fluff Dip (recipe below) | This one is easy to whip up and is always a huge hit for those with a sweet tooth! You can serve it with Oreos, vanilla wafers, or fruit if you’re feeling fancy. Raspberry Ricotta Cake | This one could actually serve as breakfast, too. It’s a dessert that’s just the perfect amount of sweet with a rich, delicate texture. 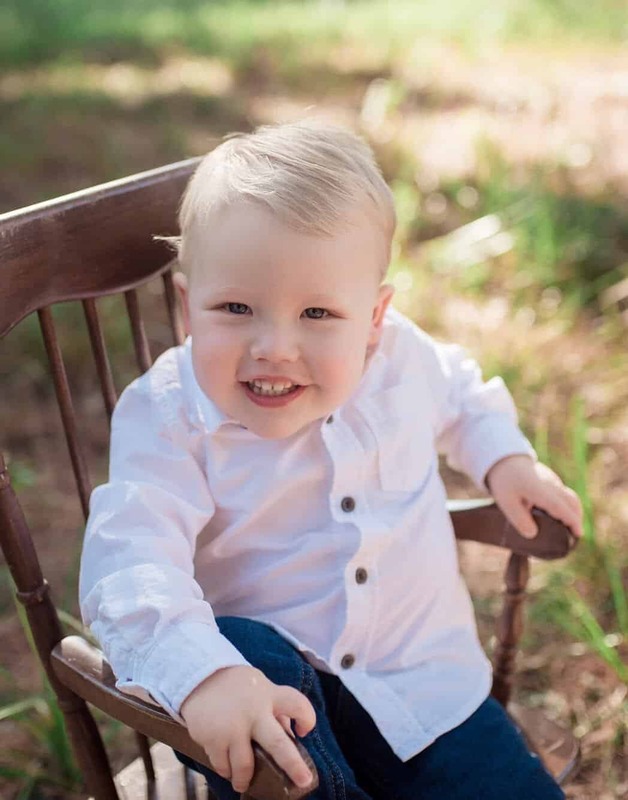 It’s a big favorite in our family! Serve it right away at room temperature or keep it in the fridge until you’re ready to slice ‘er up! Whewie! I hope this gives y’all some great ideas for your next potluck or biggo gathering. 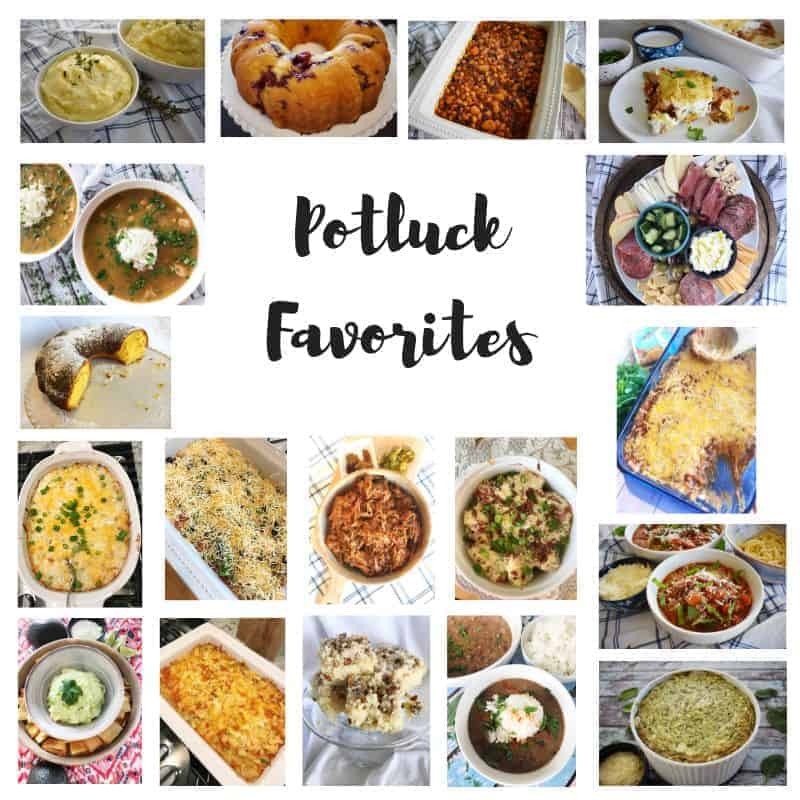 I’d love to know your favorite dish(es) for the potluck life, too!